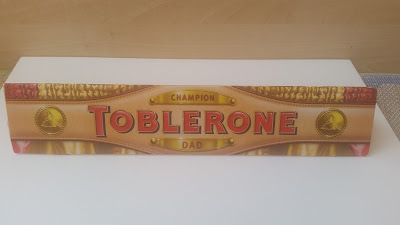 Why not show your dad how much he means to you this father’s day with a limited edition Champion Dad Toblerone bar. 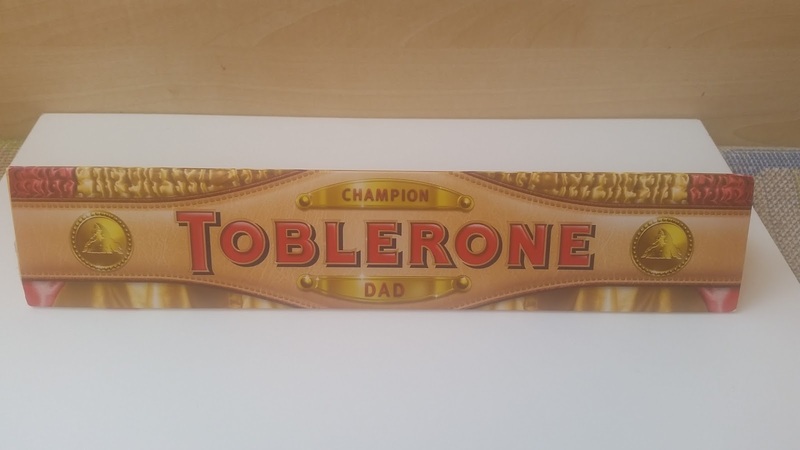 For just a few short weeks the classic gold and red triangular bar, filled with their signature Swiss chocolate and honey almond nougat, will be bound with a Champion Dad belt, a very fitting reward for a true champion! The limited edition bars will be available in stores nationwide from 1st June at an RRP of £4.99 (400g). Or how about a Terry’s Chocolate Orange? You can't go wrong with this classic gift, it's the perfect way to show your dad you care (If he likes chocolate that is). 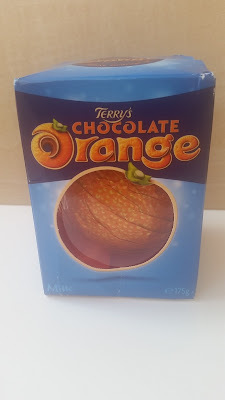 Terry’s Chocolate Orange has been on shelves since 1931 and is sure to be a winning present this Father’s Day. With 20 segments of milk chocolate, blended with their signature orange oil, wrapped in an iconic orange peel foil. You can tap, unwrap and enjoy together. Find your Terry’s Chocolate Orange at lots of retailers nationwide at an RRP of £ 2.75 (175g). This is a great one for those on a budget. So if you're looking for a chocolate gift for your Dad this Fathers Day then either of these could be perfect for you. Both of these are now going into a little goody bag that I've made up for my Dad. I didn't know what to get him this year so I made him up a gift bag full of little treats, I hope he likes it. We don't do big fancy gifts here so I'm sure he'll love it. It'll make a change from whiskey. Disclosure: I received a sample in return for an honest review / post. I have got my fella a Toblerone....hehehe It's his fave chocolate.